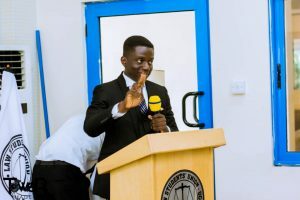 It is often quoted that “Heroes are born not made”, and this seems to be the chorus sang by Stella Aku Amevi and Akosua Adoma collectively identified as Team Priceless as they battle for the JCRC Presidency of Adehye Hall of the University of Cape Coast. 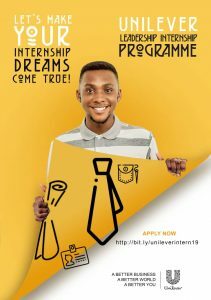 The duo have got a lot of experience under their belt having contested this position last academic year, and promises to churn out transforming leadership for the Royal Hall to become the showpiece of the University of Cape Coast. Having scaled through vetting, Team Priceless are soliciting the votes of the Royal Ladies to achieve the goal of transformation. Their teaser, Priceless, is a reflective of want they would bring on board if given the nod. 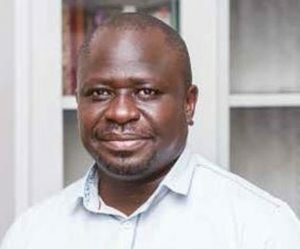 Their vision also include creating a strong rapport between hall administration and the hall residence, finding a lasting solutions to issues of perennial water shortages in the hall and also rebranding the hall to reflect it befitting status. 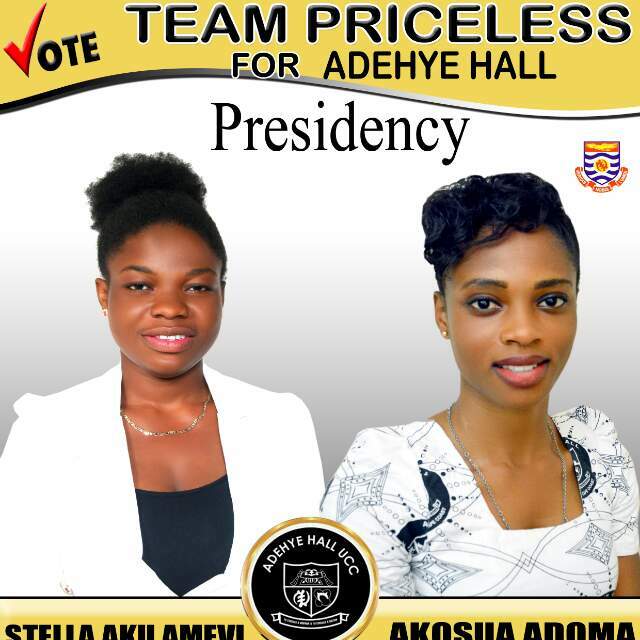 Team Priceless, the new Messiahs of transformational leadership for Adehye Hall.